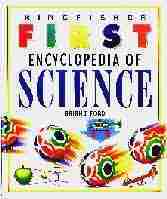 BJF, 1993, First Encyclopedia of Science, 157pp, ISBN 0-86272-944-0, London: Kingfisher Books, 27 May. 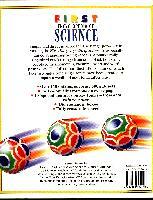 BJF, 1993, First Encyclopedia of Science, 157pp, trade binding, ISBN 0-697-83698-5 New York: Random House, August. 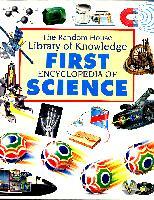 BJF, 1993, First Encyclopedia of Science, 157pp, library binding, ISBN 0-697-93698-X, New York: Random House, September. Anon, 1993, [Review of] First Encyclopedia of Science, Express and Echo, 13November. McCrone, Walter, 1993, reports: An Evening with Brian: Mistakes in the Modern World of Science (p68), The Microscope, 41 (2/3): 71-75. Anon, 1993, Review of First Encyclopedia of Science, Library Association Record, 95: 695, December. BJF, 1994, Mia prima Enciclopadia della Scienza [Italian edition of First Encyclopedia of Science, q.v.] translated by Barnabé Bosisio G. & Scarabelli, R., 160pp, Vallardi Industrie Grafiche, ISBN 88-7696-180-1. Click here to see the author with schoolchildren, or go to the FIRST ENCYCLOPEDIA OF SCIENCE site in English or Italian.